Maddie Schwartz cuts through the Gettysburg defense during McDaniels 4-0 win over the Bullets on Sept. 20. Photo by Atticus Rice. Goals from four different players led women’s soccer to a 4-0 shutout victory over Gettysburg College Wednesday evening in Westminster. McDaniel (6-1, 2-0) defender Marissa Funke started off the field day for the hosts, following through on a corner kick from Abby Keen in the 9th minute for her first career goal. Freshmen Kristen Worry and Maddie Schwartz netted goals of their own in the 30th and 50th minutes, respectively. “I got [the ball] on top of the 18, took a dribble in, took another dribble out and shot it,” said Schwartz. The freshman has started all seven games for the Terror offense this season, the only player from her class to do so. Nine players have scored for McDaniel this season. Three of those nine have scored more than half of the team’s goals this season, a group that Schwartz now belongs to following her second career goal Wednesday. The Bullets (3-2-1, 1-1) left the field with no shots on goal and just one shot overall which came off the foot of Jasmine Bishop in the 88th minute. Senior Paola Rosa closed out the day’s scoring with her first goal of the season, capitalizing on a ball in the 58th minute. The Terror offense showed more endurance against the Bullets, pressing the far half of the field until the final whistle. 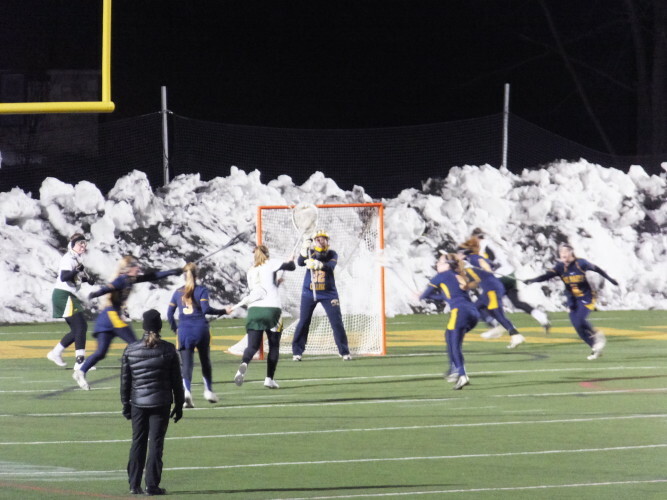 Schwartz and Rosa’s goals marked the first time McDaniel has scored in the second half this season, and just the third game to see a goal past the first half for both the Terror and their opponents. 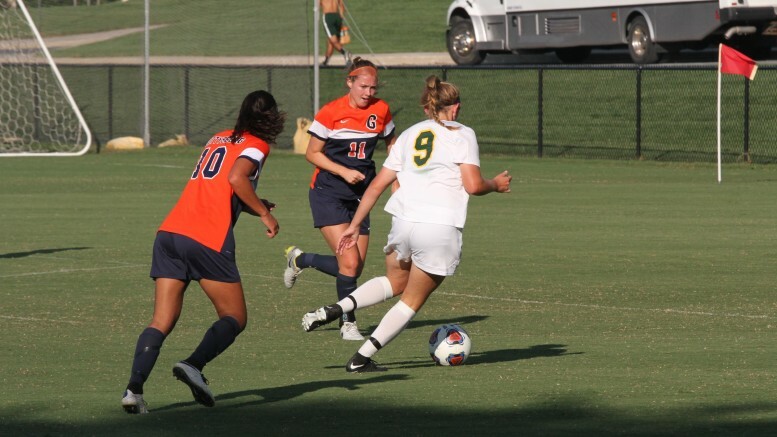 McDaniel outshot Gettysburg 15-1 and held the edge on corner kicks 4-1. Now on a six game win-streak since their season-opening loss at the hands of No. 4 William Smith, McDaniel has allowed just one goal in the last 19 days. After four non-conference matches and two Centennial opponents, the Terror turn to Saturday to face off against No. 12 Swarthmore (8-0, 2-0). McDaniel returns to action at home to host conference-leading Swarthmore Saturday at 1 p.m.